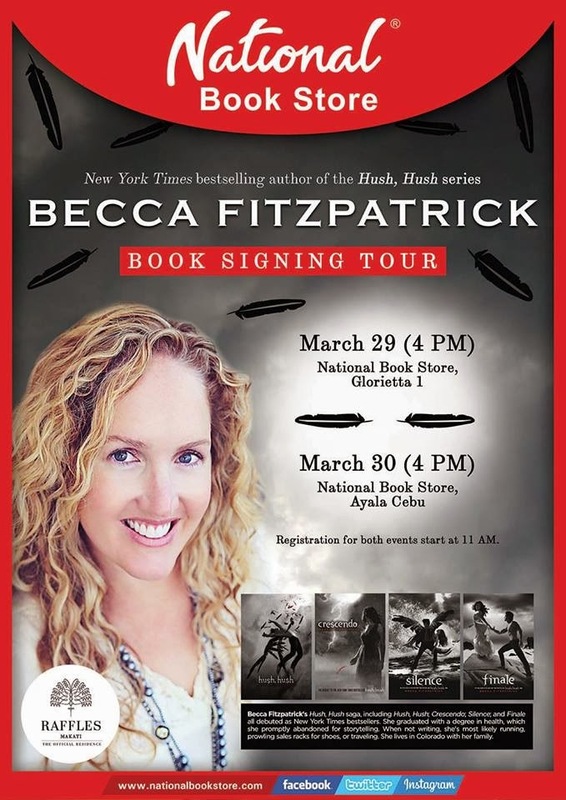 Hush, Hush is the debut novel of Fitzpatrick where humans are under the command of fallen angels. Described by Publishers Weekly as a “fast-paced, exhilarating read,” it is about a sacred oath, a fallen angel and a forbidden love. It follows the story of Nora Grey, a responsible and smart sophomore student, who falls for Patch, one who has made countless mistakes in the past, after several encounters. Nora does not know who to trust and is torn between falling into his arms or run and hide. Later on, she realizes that she is in the middle of an ancient battle between the immortal and those that have fallen. Any wrong move she makes can cause Nora her life. This paranormal romance continues in Crescendo, Silence and Finale, which all debuted as New York Times bestsellers. The film rights to the series have been optioned by LD Entertainment. Becca Fitzpatrick graduated with a degree in health, which she abandoned because of her love for storytelling. Her memories from her high school years explain why she writes young adult novels. She was a member of VICA and the National Honor Society and was played clarinet for the marching band. Her next book, Black Ice, is a riveting thriller that centers on the dangers of falling in love set against the treacherous mountains of Wyoming. Black Ice will hit shelves in October. Registration starts at 11 am for both events. "Thanks National Bookstore! You definitely know how to spoil your readers!" 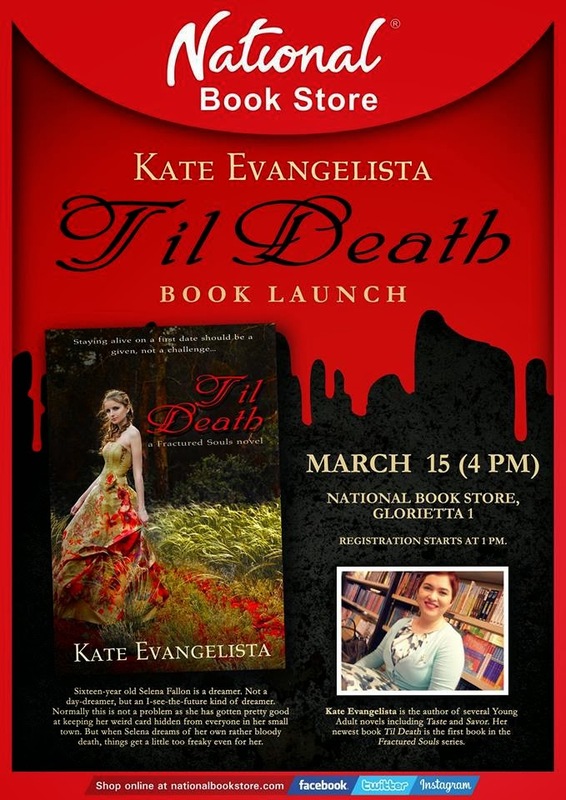 Join Filipino young adult novelist Kate Evangelista, author of Taste and Savor, for the launch of “Til Death,” the first book in the Fractured Souls trilogy, on March 15, 2014, 4 pm, in National Book Store, Glorietta 1.